with any meal after 11am. 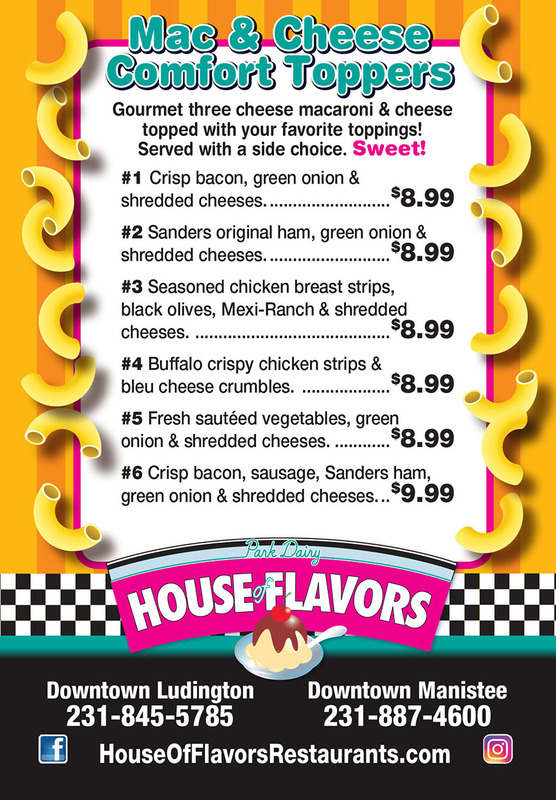 Two eggs*, your choice of Sanders ham, bacon or sausage, fresh hash browns & toast, pancakes, or banana bread. *Can be cooked to order. Consuming raw or undercooked meat, seafood or eggs may increase your risk of foodborne illness. Gourmet three cheese macaroni & cheese topped with your favorite toppings! Served with a side choice. Sweet!